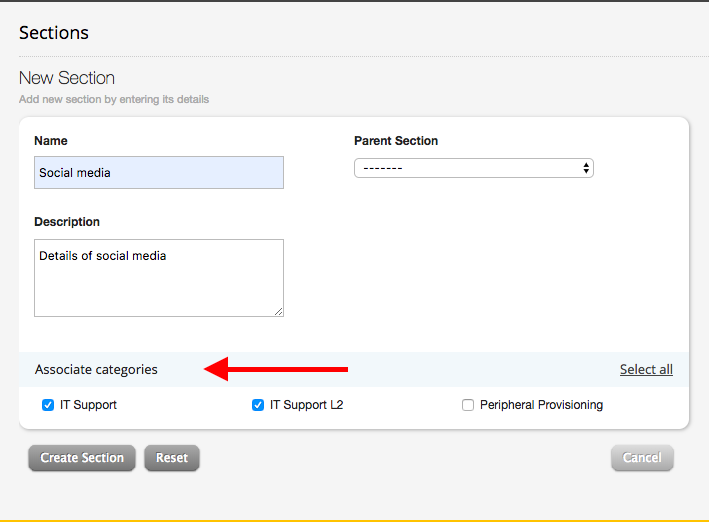 While adding an update to a ticket, agents can insert relevant knowledge base article links in the copy of the response. Agents can also "Quick Preview" the contents of the KB article, choose to copy-paste the contents of the article into the ticket response, without moving away from the ticket details page. After you open the ticket detail page for the specific ticket to which you intend to add an update/reply to, click the Reply/Private Note option. From the Update Area that opens up, click the Insert KB option. A dialog box should open up, from where you can search and select the KB articles you want to insert and click 'Insert KB'. This inserts a link to the KB to the point in your update where your cursor was present. The Section under which the article falls must be associated with the category to which the ticket belongs to. The article must be external. 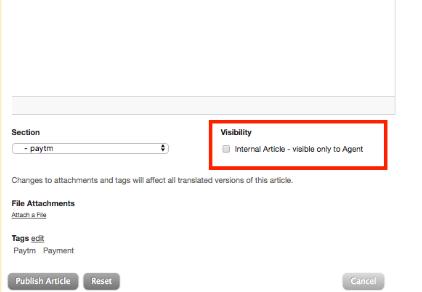 Make sure the Internal Article (Visible only to agents) checkbox is unchecked.